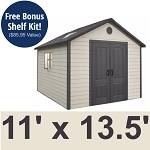 Product: Lifetime Storage Sheds Doors - 0145 Doors for 11-Foot Wide Lifetime Sheds. Easily make your shed a Dual-Purpose yard building. Store pool and yard items in one end, use the other end as a workshop! 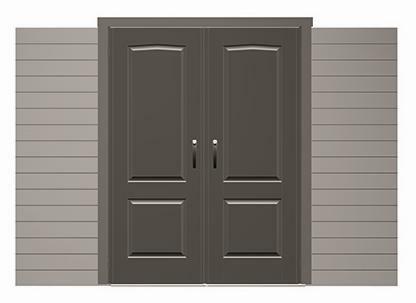 This set of doors is designed to be used only with 11 Foot Lifetime Brand Sheds. These are not conventional doors to be used on wooden sheds or other brands. Competitive Edge Products, Inc. is an authorized distributor of Lifetime Sheds and Accessories.